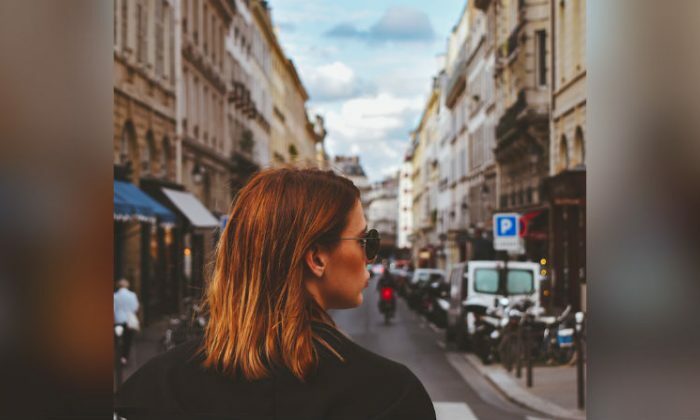 A Swedish Instagram influencer has been caught posting “fake traveling” photos of herself in Paris that appear to have been digitally manipulated in Photoshop. Despite widespread criticism, Johanna Olsson has not taken the photos down and has instead issued a public statement to explain what happened. The London-based woman has more than 510,000 followers on her Instagram account. The 28-year-old was criticized after posting photos of her all-expenses-paid October trip to Paris to model and promote brands. However, many fans are concerned about the authenticity of the photos. One of the images features Olsson floating on a bridge over the River Seine. “Look at this hahahaha the Photoshop is insane. The umbrella has been removed and trees put in LOL,” said one person. “My cat does better [at using] Photoshop,” said another. In another image, Olsson holds a glass of wine as she poses for a photo supposedly taken near the Louvre. “All your pictures about France are photoshopped. Please get a ticket and visit to France. Believe me it’s gonna be cheaper than making Photoshop[ped images],” one Instagram user commented on the post. “Next time hire me, I Photoshop much better,” another user suggested. Olsson explained why she resorted to editing her pictures. In an Instagram story, cited by pop culture site Mamamia, Olsson said: “I wanted to talk a little bit about the pictures I posted in Paris. So I did one picture, shot it and didn’t think it looked that nice … so I took a different background and put the background into it,” she said. Olsson said she has been invited to Sweden to speak on TV shows about her ‘fake traveling’ experiences. “And they’re nice pictures—it’s a good outfit!” she added. Some fans are more forgiving. Josephine Parsons, who writes for Australia’s Honey Nine Digital, described Instagram as a window to a world of fantasy.